As a young student athlete, Andrew “Roo” Yori had Ninja-level skills both on and off the sports field. Soccer was his favorite high school sport, although he competed in others too. As a college athlete he held the long-jump record at St. Mary’s University of Minnesota and still graduated as the outstanding male senior with a degree in Biology. Whatever he takes on, he puts his full self into the effort. Today, 41-year-old Roo Yori holds an impressively brainy job in the genome sequencing laboratory at Minnesota’s famous Mayo Clinic. But, true to form, he’s matching brains with brawn as a multi-season competitor on TV’s American Ninja Warrior. To the uninitiated, the show looks like an otherworldly display of super-human strength and agility. To devotees of high-intensity workout programs like CrossFit – another of Yori’s passions – the show’s competitions are a natural extension of the barrier-busting workouts that have desk jockeys and dedicated athletes jumping, climbing, crawling, and balancing like caped superheroes. Training for the competition would keep any superhuman fully occupied with workout schedules, travel, and qualifying heats. But Yori is making the most of the exposure, using the spotlight to promote his passion for rescue dogs. He uses each televised competition as a fundraiser, urging fans to pledge a donation for each punishing obstacle he completes. In his 2017 rookie season on American Ninja Warrior, Roo and his cheering section sported matching “Adopt A Dog” t-shirts, as his rescued dog Angus watched from the crowd. The now-departed Angus – a stately black Labrador mix with a graying muzzle and dignified air – served as the representative for the pack of beloved rescue dogs who have called the Yori household home. Ajax and Angus soon became best friends, but Roo and Clara have made room in their home and family for other rescues who don’t get along with their dog siblings. With dedication and an abundance of dog smarts, they manage to keep a peaceful and active household no matter what canine characters currently live there. The champion dog eventually succumbed to an aggressive cancer, but his image and story still grace the logo of the foundation he inspired and the line of merchandise that raises money for the cause, including “pawtographed” copies of his best-selling book. The hard-to-place dog thrived in his adoptive home because his training and competition provided structure, outlet, and Wallace-centered quality time. One of Wallace’s canine siblings, Hector, also enjoyed fame and raised money to help other dogs. Hector was one of 51 Pit Bulls rescued from the Michael Vick dog fighting case. The baby-faced brown Pittie overcame his traumatic history to pass the Canine Good Citizen test – TWICE – and become a Certified Therapy Dog. Visiting hospitals, nursing homes, and schools, Hector spent the rest of his life busting stereotypes and winning hearts. The Yori dogs have since included a rescued Pitties, a three-legged Corgi, and an ever-growing cast of canines with sad histories and sweet dispositions. Nobody in the pack is training for competition like their predecessor Wallace, but Yori continues to find time to nurture each dog’s interests and abilities. “It’s that quality time,” Yori says. More than accommodation for their disabilities or management for their temperament issues, the dogs need happy, structured play with their favorite humans. 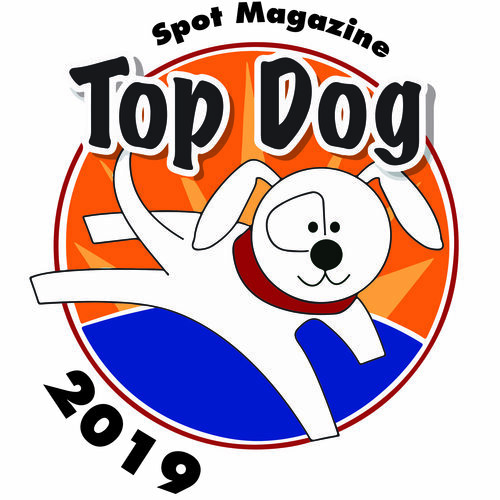 Whether training for competition or just for fun, Yori looks for the games and activities that light up each dog’s disposition. He tries to give his highly driven dogs a playful challenge that approaches the edge of their abilities. Dogs with more physical limitations get less demanding workout sessions, focusing more on mental stimulation and quality bonding time. “We do whatever the dog enjoys, as long as we remain safe.” The balanced approach keeps dogs injury-free, even while leaning hard into weight-pulling courses or impressive Frisbee acrobatics. One of Roo’s current dogs is a round-faced brown Pittie who slightly resembles his predecessor, Hector. And, like Hector, Johnny is a dog-fighting survivor, with tattered and scarred ears that tell of his abusive past. On a YouTube video created in his backyard, Yori recreates the American Ninja Warrior obstacle courses with a homemade dog agility course. In the video, a grinning and focused Johnny hops among wooden platforms, scurries under a cargo net, and scales a ramp. In an awesome display of drive and strength, Johnny climbs a platform to grab a knotted robe in his teeth, which he keeps clasped in his muscular jaws while the rope rolls down a trolley line. At the end of the course, Johnny stands victorious on top of the final obstacle and repeatedly pats a big red button with his paw, much like his human’s victorious finishes on the competitive TV show. 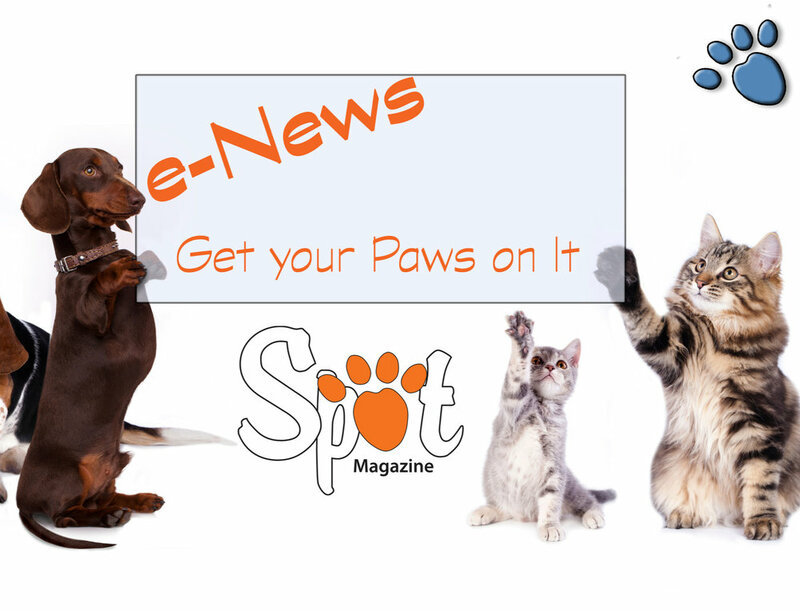 Posted in Life with Pets, Health/Wellness, Feature and tagged with Features, Pit Bulls, Rescue, Animal Welfare.